A list of 26 prisoners due to be released by Israel has divided opinion among Palestinian officials, with some lauding the move while others say the shortlist aims to undermine negotiations. The Palestinian Authority Minister of Detainees, Issa Qaraqe, on Monday said Israel’s decision to release the first group of Palestinian prisoners was an important step for promoting peace. Abbas Zaki, a member of Fatah’s Central Committee, also welcomed the prisoner release, saying freeing all Palestinian detainees was a key priority. But a senior Palestinian official, who wished to remain anonymous, told Ma’an that Israel had made a “childish decision” in choosing which prisoners were to be released. Some prisoners, such as Jameel Abdul Wahab Jamal Al-Natsheh, have only 30 days of their sentence remaining, while two are due to be released in six months and eight others have only a few months remaining to serve. The fact that so many prisoners on the list will be released shortly anyway was carefully chosen to thwart peace talks, the official said. 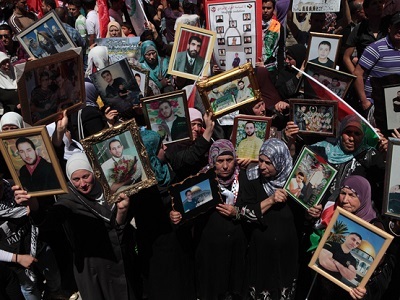 Head of the Ahrar Center for Detainees Studies, Foad al-Khafsh, said that the 26 names will disappoint the Palestinian public, and in particular prisoners’ relatives, as the list was not based on seniority. Although all prisoner releases are joyful occasions, the list is tainted by the fact that no detainees from Jerusalem are due to be freed and most prisoners will be released to Gaza, he added. In Israel, the decision to free prisoners has angered families of those who killed in assaults. “This is a day of celebration for terror organizations,” Meir Indor, head of Almagor — a group representing Israeli victims of Palestinian attacks — told AFP on Monday. 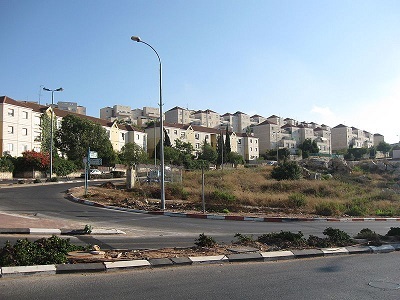 Media reports have implied that Israel’s recent announcement for settlement tenders was meant to appease Netanyahu’s far-right coalition partners, who oppose the release of prisoners but fervently promote settlement construction. “It is clear that the Israeli government is deliberately attempting to sabotage US and international efforts to resume negotiations by approving more settlement units three days before the … Palestinian-Israeli meeting,” Palestinian negotiator Mohammed Shtayeh said following the move. “The construction decided upon today in Jerusalem and in the settlement blocs are in areas that will remain part of Israel in any possible future peace agreement,” Mark Regev said in a statement. Direct talks between Israelis and Palestinians were resumed in Washington last month, ending a three-year hiatus after painstaking US mediation. The last talks in 2010 broke down on the issue of settlement building.